Hello there! 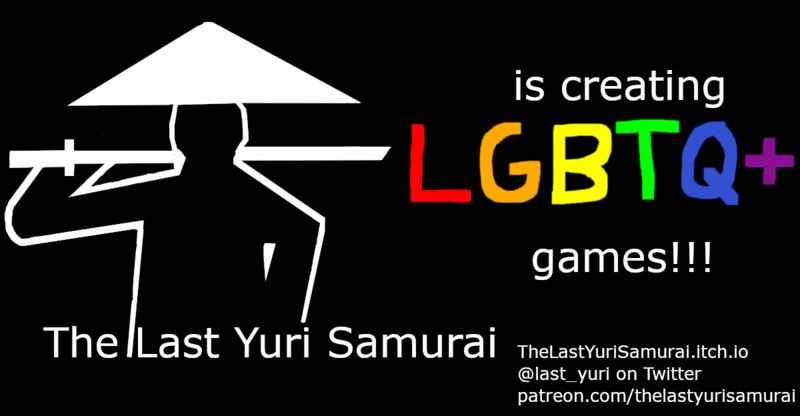 I'm TheLastYuriSamurai and my hope is to make more and more games with LGBT content. I mainly use RpgMaker MV, and look forward to making the kinds of games others can enjoy! Feel free to check out my twitter at https://twitter.com/last_yuri where I post updates and let people know what jams I'm currently working on! Win over men and women in a sim for the best of Gigolos!! Play as a young Drakul! Cook, forge, fight, fish, flirt, and mine in this coming of age tale! A short tabletop inspired rpg made for the Ace Jam! !